Welcome to Music Friday when we bring you great new songs with jewelry, gemstones or precious metals in the lyrics or title. Today, we feature “Burning Gold,” the second single off of Christina Perri’s latest album, Head or Heart. The song, which she co-wrote with Kid Harpoon, was inspired by Perri’s decision as a 20-year-old to move from her home in Philly to pursue a musical career in Los Angeles. In an interview with Radio.com, Perri said, "A lot of times our dreams aren't where we grew up. We have to go find them… I would not stop until my life was burning gold, which I think it is now." Perri revealed to Billboard magazine that “Burning Gold” almost didn’t happen. She was at “gnarly point” in her career when she wasn’t enjoying music anymore. Perry was finishing up a tour of the U.K. when her manager insisted that she meet with songwriter Harpoon. Reluctantly, she agreed, and the collaboration — which took place at four in the morning — netted “Burning Gold.” She said the song was “birthed” in 20 minutes and represents a “whole new sound” for her. Written by Christina Perri and Thomas Hull (Kid Harpoon). 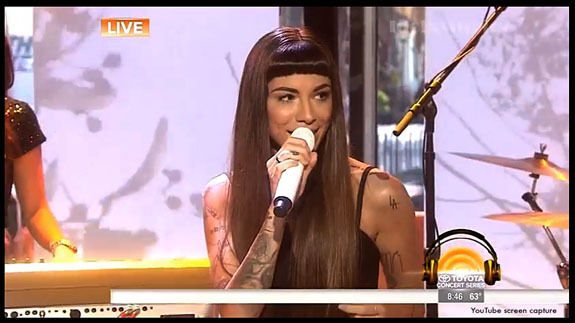 Performed by Christina Perri. I wish the wind would carry a change. 'Til our lives were burning gold. I need, I need a change. I need, I need to change. I'm the wind that's carrying the change. 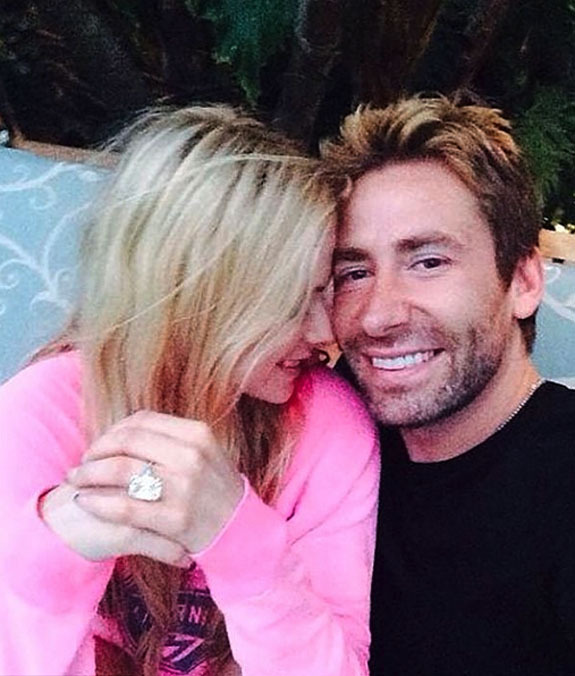 Nickelback frontman Chad Kroeger clearly forgot to consult the Hallmark list of traditional and modern anniversary gifts when he surprised his wife of one year, Avril Lavigne, with a 17-carat emerald-cut diamond set in platinum. 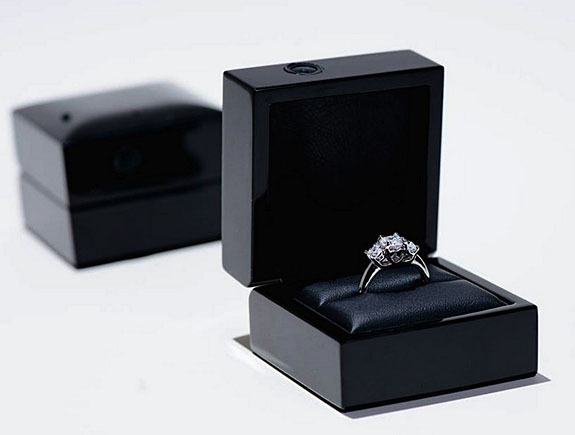 While Hallmark recommends a first anniversary gift of paper (traditional) or a clock (modern), Kroeger decided on a diamond ring that was even larger than the dazzling 10-carat pear-shaped engagement ring he presented to the “Complicated” singer in 2012. This past Thursday, Lavigne revealed the ring on Twitter with a captioned photo of her and Kroeger. On Lavigne’s left hand is a diamond that covers much of her petite ring finger. In the tweet, she breathlessly wrote, “I still can’t believe my 1 year anniversary gift. 17 carat emerald cut. Wow. I love my hubby.” Lavigne has 16.3 million followers on Twitter. The ring’s value could range from several hundred thousand dollars to several million dollars, depending on the color, cut and clarity of the diamond. The Twitter post was later taken down, presumable because the pop-punk singer was caught out of character when she gushed over her new jewelry. In August of 2012, Kroeger proposed to Lavigne with a vintage-style platinum engagement ring featuring a 10-carat pear-shaped center stone accented on each side with specially cut half-moon-shaped diamonds totaling an additional 4 carats. 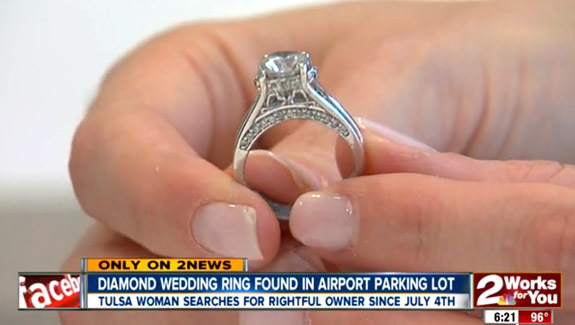 The ring’s estimated cost was $350,000. The couple married in the South of France in July 2013. The 29-year-old diva said that her relationship with Kroeger, 39, started as a simple song-writing collaboration, but quickly turned into something much bigger. The couple had been dating for only a month when Kroeger popped the question at a recording studio. According Lavigne, she had been making a scrapbook filled with cute stickers and Polaroid photos recounting her time in the studio. On one special day, she walked into the facility and caught Kroeger adding a photo to the book. We can’t wait to see how Kroeger tops himself for the couple’s second anniversary. Spaniard Sergio Garcia’s errant tee shot on the third hole of Sunday’s WGC-Bridgestone Invitational was nearly the most costly golf shot ever as it knocked a solitaire diamond right out of the setting of a spectator’s engagement ring — and out of sight. Clever commentators on CBS were quickly calling the incident a “diamond in the rough,” which is literally where the lost gemstone ended up. Garcia, who had been leading the tournament at the time, arrived on the spot to find a woman in a grey top showing the CBS cameras the empty four-prong setting of her engagement ring. Seemingly shaken by the mishap, Garcia signed a golf ball and handed it to the surprisingly cheerful woman. He also apologized to her and asked tournament officials to get the woman’s contact information so he could make good on her loss. 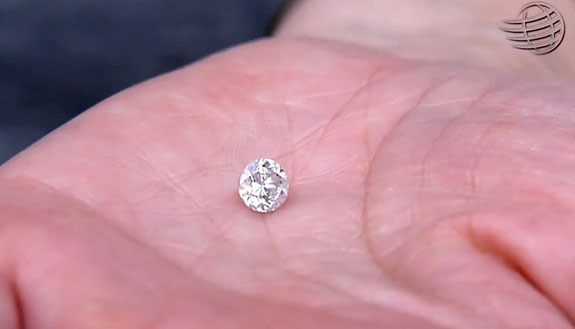 After a few minutes of searching through the gnarly rough at the Firestone Country Club in Akron, Ohio, a young patron finally spotted the diamond and returned it to its owner. Garcia also revealed that he was prepared to buy the woman a new diamond if the original couldn’t be found. “I don’t know how [my fiancée] Kathy would have felt about that, but other than that, it was okay,” he said. Garcia, who currently stands at #3 in the Official World Golf Ranking, had tied the course record with a 61 on Friday and mounted a six-shot lead. But, after plunking the spectator, Garcia’s fortunes turned south. He went on to bogey the third hole and eventually placed second in the tournament to a surging Rory McIlroy, who won by two strokes. 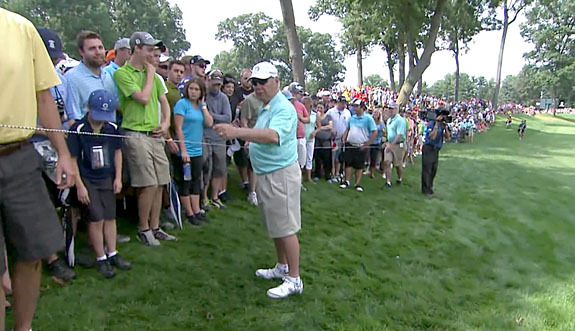 Check out the two-minute video of Garcia’s notorious tee shot and its crazy aftermath. It’s been viewed more than 223,000 times on YouTube. At the time, the product was essentially a prototype, and the inventors — four grads from Hope College in Holland, Mich. — were working hard to transform a neat idea for their senior engineering project into a viable business venture. Other high-profile media outlets, such as the Huffington Post, InStyle magazine and the Detroit Free Press, followed suit with a flood of positive coverage. The Ring Cam team also was encouraged by a second-round audition callback for the popular TV show, Shark Tank, where wealthy investors help entrepreneurs make it big — for a price. The Ring Cam provides couples with a video record of one of the most momentous events of their lives — a precious snippet that can be shared with family and friends and generations to come. The ring boxes may be rented for $100 or purchased for $200. They have a USB connector that allows for video captures to be easily transferred to a computer for editing. The inventors believe that jewelry stores will be a perfect place to rent or buy a Ring Cam. For now, the team is distributing its product through its website, www.getringcam.com. The Ring Cam was conceived as a Hope College senior project and then migrated to the school’s 10-week summer incubator program, where it was refined. The early development was financed with a $5,000 infusion from Start Garden, a Grand Rapids, Mich.-based program that “seeds” would-be entrepreneurs’ innovative ideas. Now, it looks like the Ring Cam is ready to take off. The prolific Letšeng mine in the tiny African Kingdom of Lesotho just yielded another massive rough diamond — a 198-carat shimmering stunner the size of a large strawberry. Experts expect it to sell for as much as $15 million. Officials for Gem Diamonds Limited, which owns a 70 percent stake in the mine, described the stone as an “exceptional white, high-quality diamond [that] displays no florescence.” It has a Type IIa rating, which means it is chemically pure and has an exceptional optical transparency. "The recovery of this large, high-quality white diamond continues to support the Letšeng mine's reputation as the most important source of exceptional quality, large diamonds," Gem Diamonds CEO Clifford Elphick said in a statement. In fact, five of the 20 largest gem-quality white diamonds ever recorded were unearthed at the Letšeng mine — a mine in the kingdom's northern Maluti mountains that consistently yields the highest per-carat value of any kimberlite diamond mine in the world. 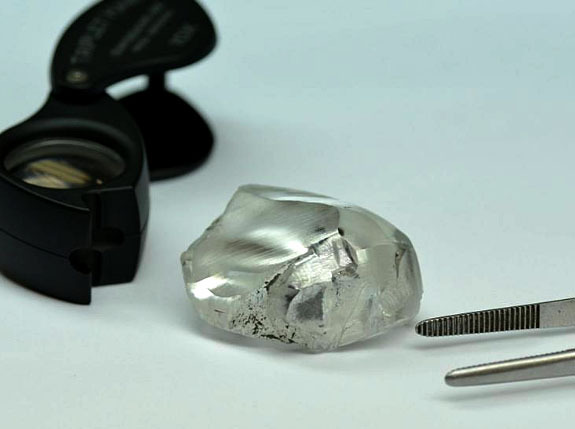 In 2001, Gem Diamonds pulled a 553-carat rough white diamond from Letšeng, and a just over a year ago the company extracted a gem-quality rough white diamond weighing in at 164 carats. That stone was eventually sold for $9 million. London-based mining analyst Martin Potts told National Jeweler that he expects the recently discovered 198-carat stone to fetch between $12 million and $15 million. 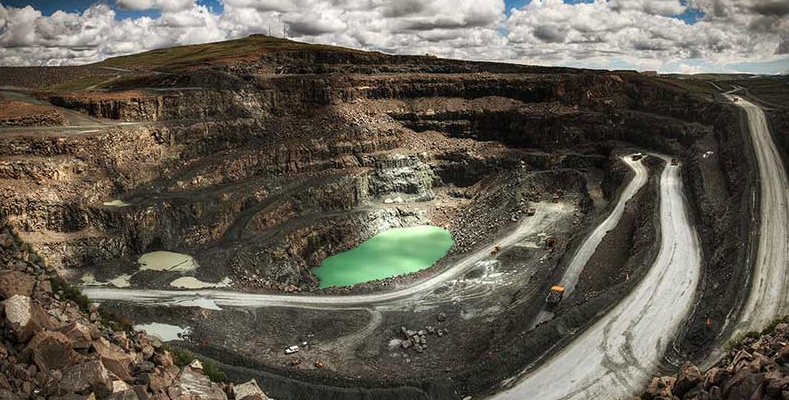 Gem Diamonds has owned a controlling stake in Letšeng since 2006. 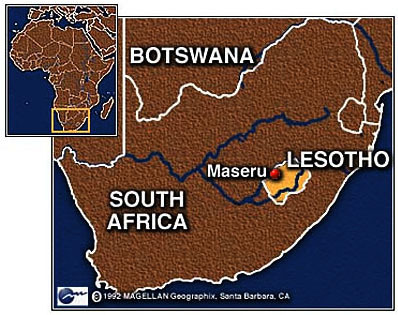 The Kingdom of Lesotho owns 30 percent. The diamond mine is one of the highest in the world, sitting at an altitude of 10,000 feet. When 17-time Grammy winner Eric Clapton was asked by VH1 in 1999 to name his favorite song from his own catalog, he surprisingly picked “Golden Ring,” the ninth track on his 1978 Backless album. 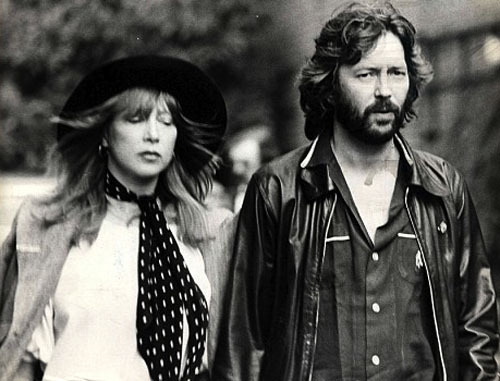 It was later revealed that Clapton wrote the song to chronicle his complicated love triangle with model Pattie Boyd and the Beatles’ George Harrison. Harrison and Clapton became close friends in the late 1960s, but despite their friendship, Clapton fell in love with Boyd, who Harrison had married in 1966. 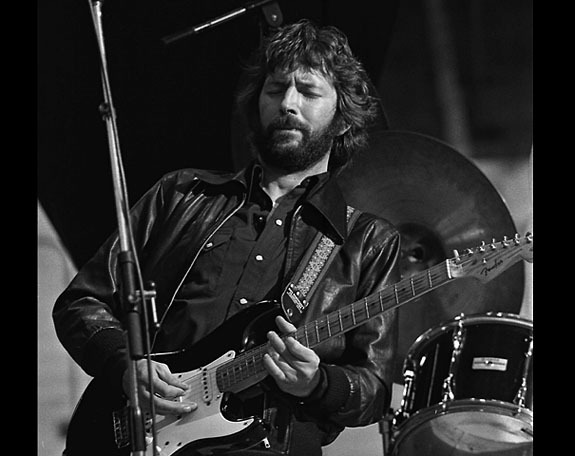 In 1970, Clapton reportedly proclaimed his love for Boyd with his hit song, "Layla." When Boyd rebuffed his advances, Clapton went into a self-imposed musical exile that would last more than three years. Boyd and Harrison eventually separated in 1974 and divorced in 1977. Clapton now had his chance to rekindle the relationship. Clapton penned “Golden Ring” in the emotional transition year between Boyd’s official divorce from Harrison and his own marriage to Boyd in 1979. It was also the year Harrison tied the knot with author Olivia Trinidad Arias. Clapton explained in his 2007 autobiography, "[Golden Ring] was written about the situation between me, [Pattie] and George. It referred in part to her response to the news that George was getting married again. She took it quite hard, and I, in my arrogance, found that hard to understand. So I wrote this song about the peculiarity of our triangle, which finishes with the words, ‘If I gave to you a golden ring / Would I make you happy, would I make you sing?'" Clapton, who is the only three-time inductee to the Rock and Roll Hall of Fame (once as a solo artist, and separately as a member of the Yardbirds and Cream), is considered one of the most influential guitarists of all time, ranking second on Rolling Stone magazine’s all-time list. We hope you enjoy the video of Clapton’s rendition of “Golden Ring.” The lyrics are below if you’d like to sing along. Photo of Eric Clapton/Wikimedia Commons/Chris Hakkens; photo of Clapton and Pattie Boyd (uncredited). Written and performed by Eric Clapton. It made you happy, it made you sing. It didn't last long, we didn't go far. Will the ties that bind remain the same? Everyone said that I made you smile. You heard that he would marry again. I've trod on your wings, I've opened the door. Would I make you happy, would I make you sing? 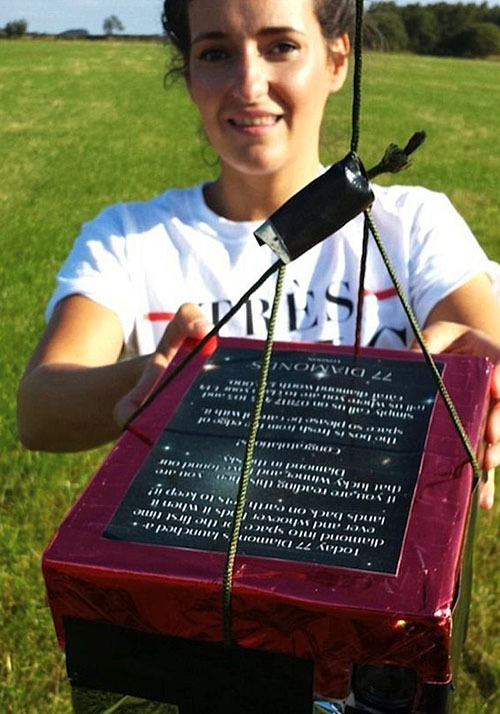 Eager treasure hunters are hot on the trail of a 1.14-carat modified cushion diamond valued at $20,000 that was recently launched into space via helium balloon from a field in Derbyshire, UK. 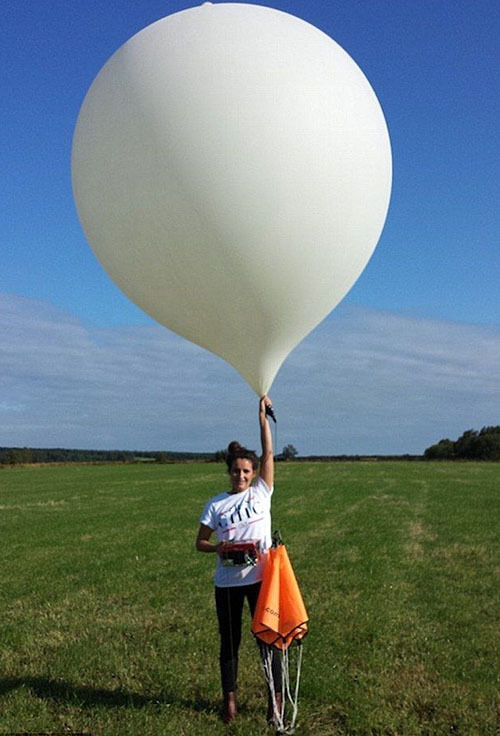 When the balloon hit a critical altitude, it burst, sending the bauble parachuting back to earth. The lucky person who finds the precious gem will get to keep it. The UK Aviation Authority (CAA) and online retailer 77 Diamonds teamed to launch the gem into space. 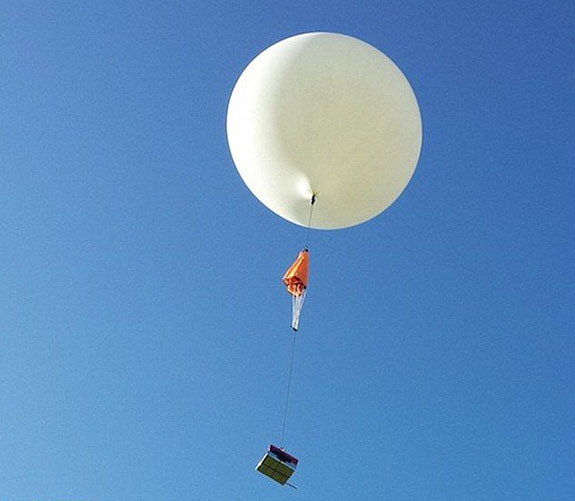 According to the retailer, the diamond was fitted with a tracking device and rose to an altitude of 100,000 feet until atmospheric pressure at the edge of space burst the balloon after an amazing 60-mile, 150-minute journey. The diamond was then released toward earth, safely nestled inside a red foil box attached to a bright orange parachute. The anticipated landing area was estimated to encompass more than 60 miles around Lincolnshire, but the diamond is reportedly within a five-mile radius of Lea near Gainsborough, about 150 miles north of London. Jewelry retailer 77 Diamonds created the unique PR stunt to raise awareness of its "interactive universe," Diamonds in the Sky. This technology allows users to fill a virtual night sky with thousands of stars, each one unique and named after someone or something special. Modified cushion brilliants like the one used for this stunt are a popular variation on the cushion brilliant shape. This cut boasts an extra row of facets just below the girdle, resembling a flower shape and a “sparkling water” or “crushed ice” appearance. 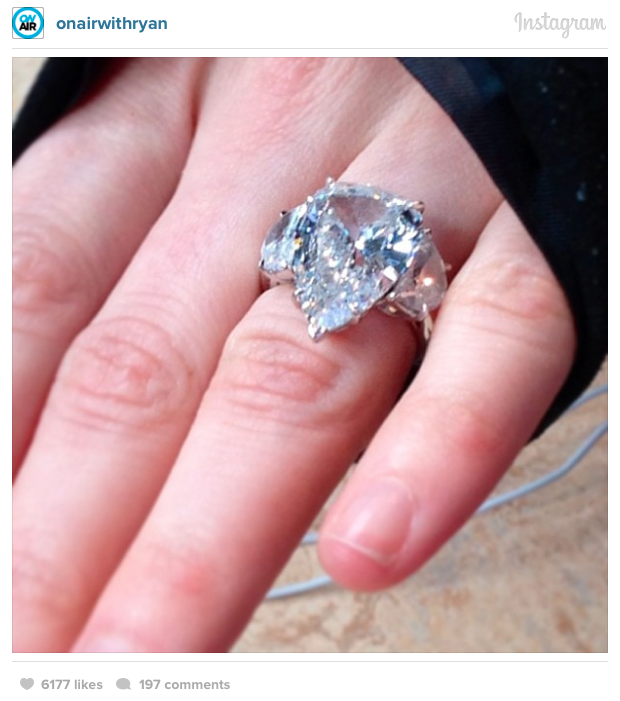 This alluring cut caught the eye of Hollywood A-Listers Kim Kardashian and Jessica Biel, who both chose it for their engagement rings. 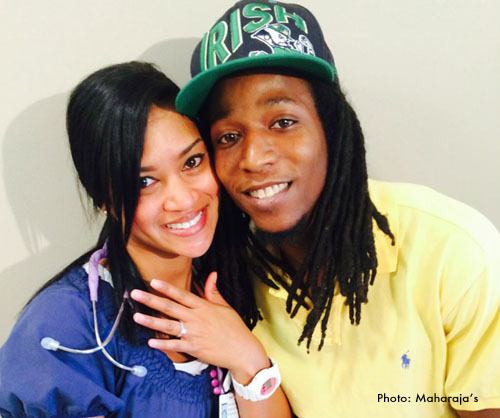 The young Florida couple that made national headlines last month when their $6,000 engagement ring was accidentally donated to Goodwill was back in the news on Friday when a local jeweler came to the rescue with a replacement ring. Early last month, Corey Todd's marriage proposal plans earned national attention — including a segment on the TODAY show — because the engagement ring he had hidden in the pocket of an old pair of dress pants cluttering a guest room closet was accidentally donated to charity. 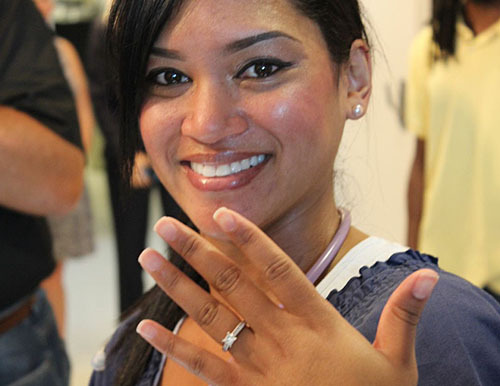 Todd had hidden the ring for nearly a month and was planning a July 7 proposal. But, on July 2, girlfriend Jacelyn Penton gave the dress pants and other old clothes to Goodwill. 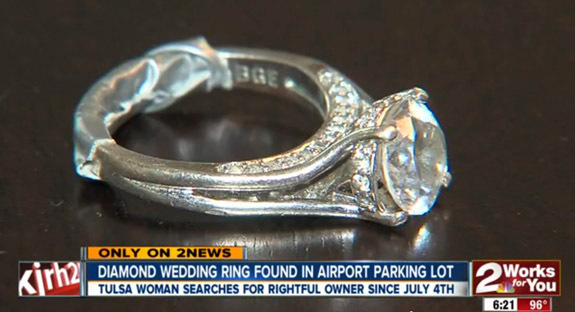 The couple made an attempt to recover the ring from Goodwill, but it couldn't be located and no one turned it in. The story of Corey and Jacelyn tugged the heartstrings of people from all over the country. 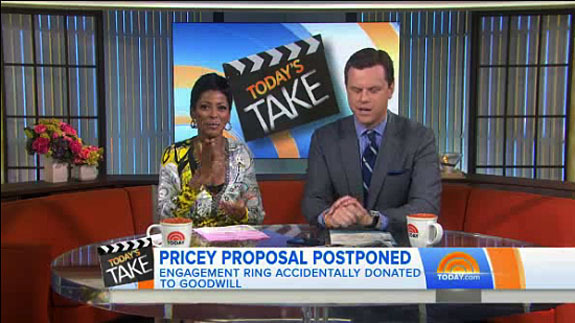 TODAY show hosts Willie Geist and Tamron Hall went to bat for the couple by dedicating a large part of their July 8 opening segment to the couple's plight. Todd had saved up for three years to buy the engagement ring. Said Hall, "Let's try to help him out. Someone's got the pants. We're rooting for you, Corey." Despite the media attention, the ring was never found and Todd was forced to postpone his proposal to Penton, the love of his life since the first day he met her in middle school 20 years earlier. This past week, the couple's sadness turned to gladness when Panama City's Maharaja's gifted the couple with a brand new engagement ring. On Friday, Todd and a news crew from a local NBC-TV affiliate surprised Penton at her workplace, HealthSouth Emerald Coast Rehabilitation Hospital. The nervous suitor finally got to propose — with the cameras rolling. "The hard part is getting down on one knee, and not passing out," Todd told WJHG. During the heart-wrenching previous month, Penton admitted she was saddened by the real possibility that she may never experience the moment of an actual proposal. "I always knew we wanted to marry each other," she said. "It just really hurt me that I probably [would] never feel that way. And I did, today!" 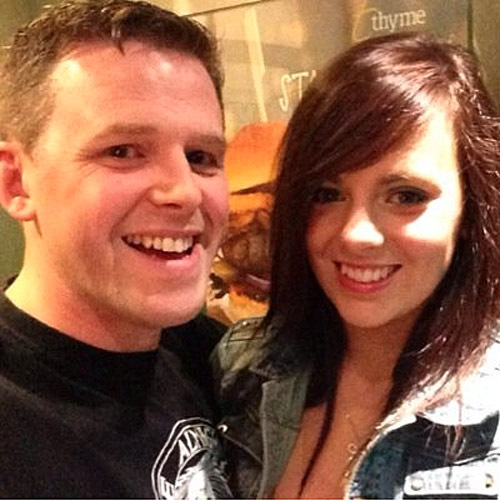 The couple is planning a September 2015 wedding. Fancy red diamonds are so rare that over the 30-year history of the iconic Argyle Pink Diamonds Tender only 13 have come to market. The 2014 edition of the tender will feature a record four such diamonds, including the spectacular Argyle Cardinal™, a 1.21-carat radiant-cut fancy red. STARS OF THE SHOW: Four fancy red diamonds, including the 1.21-carat Argyle Cardinal (second from left). Photo supplied by Rio Tinto. 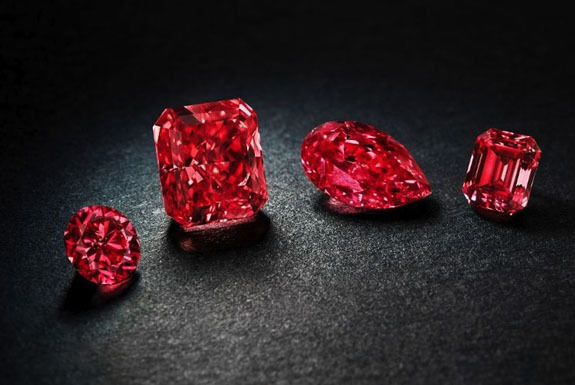 Rio Tinto, which owns the Argyle Mine in Western Australia, recently showcased the four red diamonds — along with 51 top-quality pink and purplish-red diamonds — to a select group of 150 customers and the press. The annual tender represents the pinnacle of the mining company’s production. The Sydney event marked the beginning of a two-month promotional tour that will offer tender viewings in New York, Hong Kong and Perth. Bidding on the stones will close on October 8. Red and pink diamonds demand a high price — typically 50 times greater than similar white diamonds, according to Rio Tinto. The four red diamonds in the tender are expected to fetch from $1 million to $2 million per carat. Just last year, the 1.56-carat Argyle Phoenix™ sold for more than $2 million to a Singapore-based jeweler. “Decades ago, no one would have believed that Australia held the secret of diamonds, let alone virtually the world’s entire source of rare pink and red diamonds,” said Rio Tinto’s managing director Jean-Marc Lieberherr. 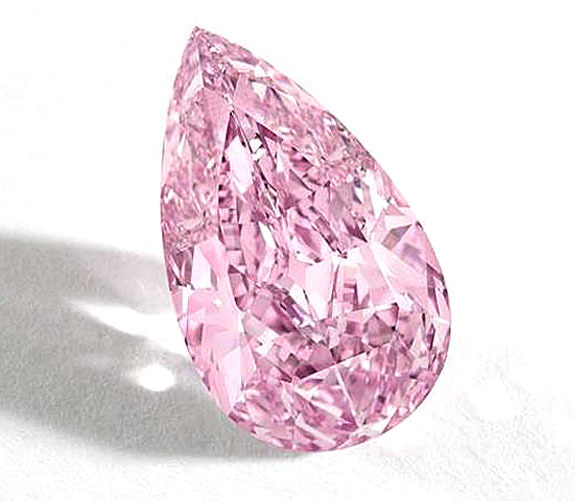 The company boasts that Argyle produces more than 90 percent of the world’s pink diamonds. Welcome to Music Friday when we bring you fabulous songs with jewelry, gemstones or precious metals in the title or lyrics. 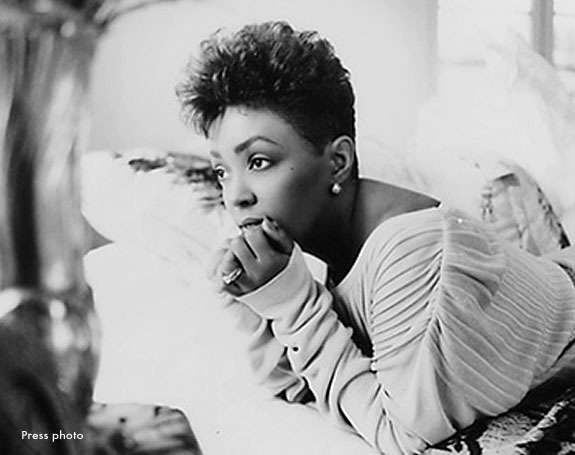 Today, we present the soulful Anita Baker singing her biggest hit and 1989’s top R&B song, "Giving You the Best That I Got." Released in September 1988, the song was both a commercial and critical success, as it resonated with R&B fans as well as a broad crossover audience. The song peaked at #1 on the Billboard R&B chart, #1 on the Billboard Adult Contemporary chart and at an impressive #3 on the broad-based Billboard Hot 100 chart. "Giving You the Best That I Got," which appears on Baker’s 3x platinum album of the same name, yielded five Grammy nominations and three Grammy Awards — two in the exact same category in back-to-back years (We’ll explain). In 1989, she won Grammys for Best Female R&B Vocal Performance, Best R&B Song, and earned nominations that year for Record of the Year and Song of the Year. In 1990, she won another Grammy for Best Female R&B Vocal Performance. Because the single was released in September 1988 (just before the cutoff for 1989 Grammy eligibility) and the album was released in October 1988 (just after the 1989 award cutoff), Baker was able to take home the Vocal Performance Grammy twice for the same song. Born in Toledo, Ohio, and abandoned at the age of two, Baker was raised by a foster family in Detroit until she was 12. Sadly, both her foster parents died and Baker went through her adolescence in the custody of her foster sister. In 1974, at the age of 16, Baker began singing at Detroit nightclubs. Soon after, she was discovered by bandleader David Washington, who helped launch her stellar career. By the age of 17, she was touring professionally with the funk band, Chapter 8. We know you will enjoy the official video of Anita Baker’s “Giving You the Best That I Got.” The lyrics are below if you’d like to sing along. Imagine being able to power your electronic devices with the energy harnessed from your eyes blinking, the blood flowing through your veins, or the electric pulses coursing down your spine. 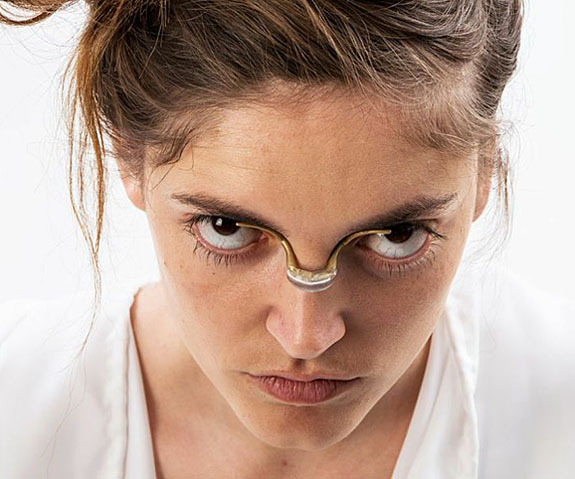 Well, Israeli industrial design student Naomi Kizhner has developed a line of fashionable, yet invasive, jewelry called “Energy Addicts” that transforms the body into a renewable energy source. Fabricated in karat gold and 3D-printed biopolymer, the jewelry designs are intended to be worn on three different parts of the body. The least invasive of the three is called the Blinker, which sits on the bridge of the nose and across the eyelids. The device transforms the energy generated with every blink of the eye into electricity. Not for the faint-hearted, the Blood Bridge requires two needles to be placed into a vein in the lower arm. The jewelry redirects blood flow past a wheel within the casing. As the wheel turns, the device converts the kinetic energy into electricity. Another seemingly painful device is called the E-pulse Conductor. 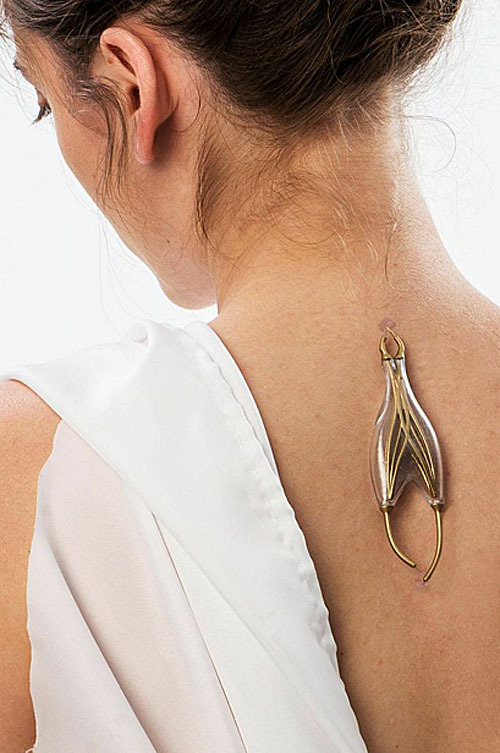 Inserted into the upper spine, the jewelry collects the electric pulses generated by the wearer’s neurological system. So far, the Energy Addicts jewelry is not commercially viable. Kizhner designed the products for a senior project at Hadassah College in Jerusalem. Her project addresses what she believes is an impending worldwide energy crisis. "I wanted to explore the post-humanistic approach that sees the human body as a resource," she told Dezeen.com. "It interested me to imagine what would the world be like once it has experienced a steep decline in energy resources and how we will feed our energy addiction." Kizhner believes her concepts are not far fetched. "Technologically, we are not too far away from these ideas becoming a reality," she said. "But practically speaking, will we be willing to sacrifice our bodies in order to produce more energy? My intention is to provoke a discussion." 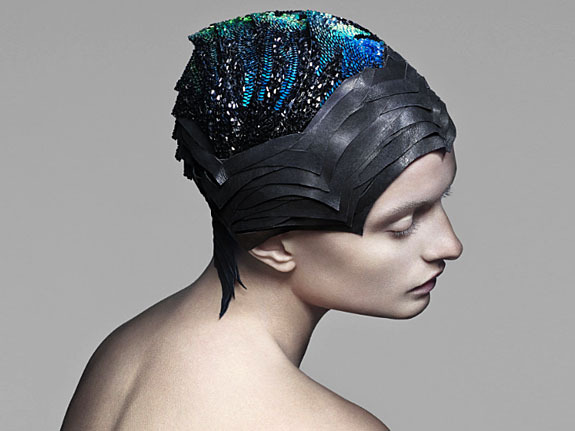 A leather headpiece mounted with 4,000 lab-grown Swarovski spinel stones has the ability to change color in response to brain activity, delivering a high-tech and grown-up version of one of the memorable fads of all time — the mood ring. 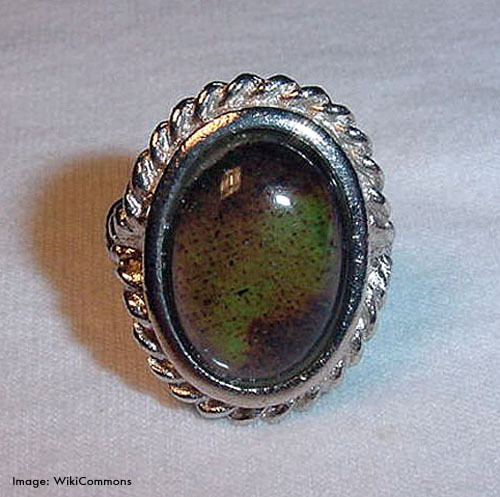 Children of the 1970s like to reminisce about their mood rings, the inexpensive baubles featuring a “gem” that changed color in response to the body’s temperature. The inventors cleverly bonded what was essentially a thin liquid crystal thermometer to the back of a clear quartz stone, enabling the surprising color-change effect to be seen through the faux gem. 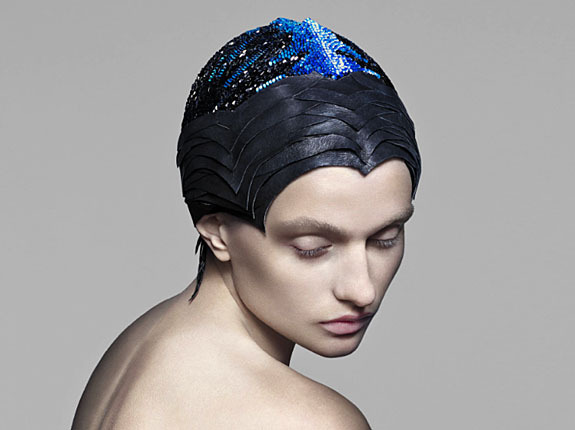 Now, nearly 40 years later, Lauren Bowker of the London-based fashion house The Unseen has created a gem-emblazoned head covering that absorbs the energy loss from the head. The stones start as black spinel, but have the ability to change from black to orange to red to green to blue to purple based on the part of the brain in use. 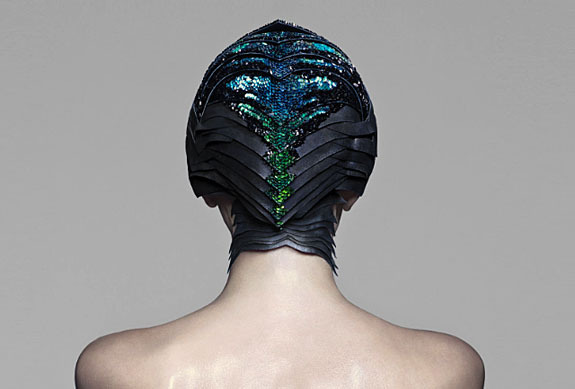 The headpiece actually covers the wearer’s forehead, temples, ear tops and back of the neck. “When worn, the headpiece becomes a reflection of the inner human thought,” Bowker told Cnet.com. The Swarovski black spinel stones are coated in Bowker’s signature color-changing ink, which is sensitive to temperature changes. The stones serve as heat conductors. Bowker claims that excitement, nervousness and fear all produce different colors. Shifting emotions result in a brilliant, colorful display. The designer explained to Dezeen.com that mornings generally produce orange color patterns at the front of the brain, while evening patterns tend to be bluer and in the back right of the brain. Attendees of London Fashion Week in September will be able to get a first-hand look at Bowker’s gem headpiece at The Unseen’s emporium in Somerset House. 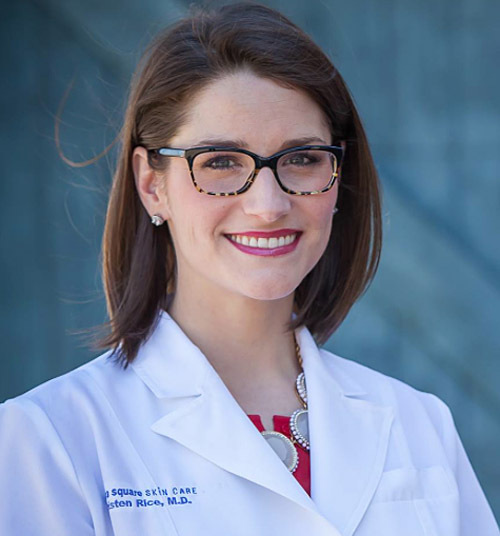 For the past six weeks, Dr. Kristen Rice has been on a mission to find the rightful owner of a diamond engagement ring she and her husband, Kevin, found in the short-term parking lot of Tulsa International Airport. 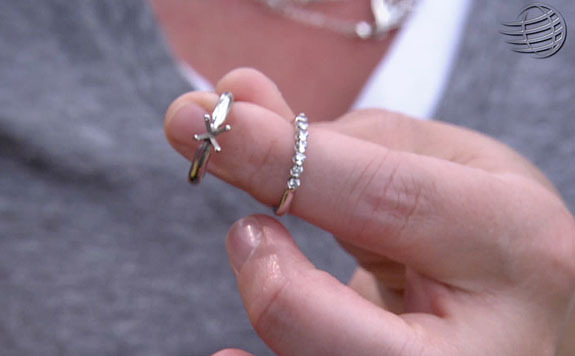 Featuring a sizable round center diamond, pavé setting, delicate heart-motif gallery, one bent prong, a slightly flattened side and a custom engraving, the white metal ring has been splashed all over Facebook and Craigslist, and on Tuesday was the subject of a news report by NBC’s Tulsa television affiliate, KJRH. Despite the huge amount of traditional and social media exposure (Rice’s Facebook post about the ring has been shared 641 times, and the TV station’s post was shared 51 times), nobody has come forward to claim the keepsake. Rice used a strip of grey duct tape to conceal a custom engraving on the inside of the band. Whoever claims the ring must correctly identify what it says. 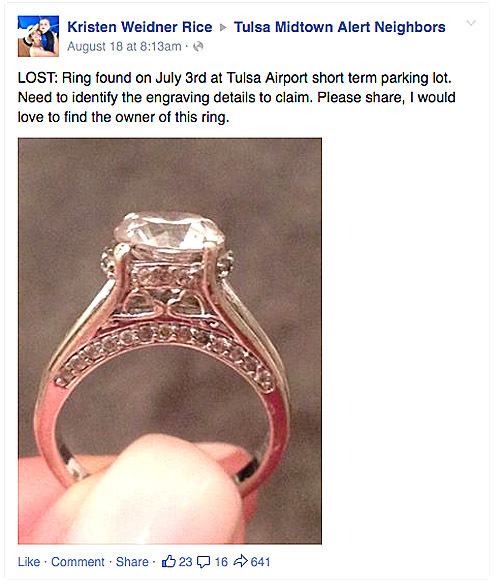 Since July 4, the Tulsa-based dermatologist has been scouring the Internet for claims of a lost ring, placed an ad on Craigslist, posted photos of the ring on Facebook, regularly contacted the Tulsa airport’s lost and found, and scored an interview with the NBC affiliate. Rice has received an outpouring of praise and encouragement from the Facebook users following her story. 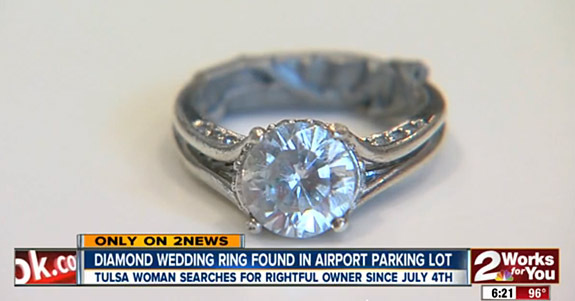 “The person who found this ring is the kind of person who walks with God,” wrote Damiris Kennedy. “Now with social media it can take 24 to 48 hours,” she said. Rice hopes there will be a sweet, romantic outcome, although she speculated on circumstances behind the ring ending up slightly flattened in an airport parking lot. Welcome to Music Friday when we often unearth wonderful, but sadly forgotten, treasures with jewelry, gemstones or precious metals in the title or lyrics. 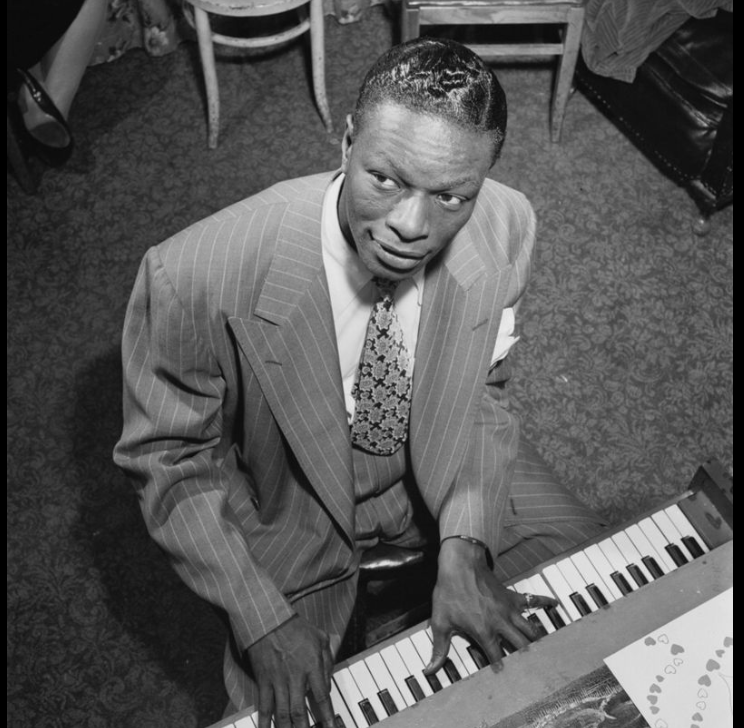 Today, we present the immortal Nat King Cole singing “The Ruby and the Pearl,” the theme song to the 1952 film, Thunder in the East. Released on Capitol Records only one year after his iconic hit, “Unforgettable,” “The Ruby and the Pearl” peaked at #23 on the U.S. Billboard chart. One online movie reviewer noted that Cole’s beautiful performance of “The Ruby and the Pearl” was the best thing to come out of Thunder in the East, which he called a routine action film. In 1954, “The Ruby and the Pearl” was included in a 10-inch LP Nat King Cole compilation album called Eight Top Pops. Born in 1919 to a Baptist minister and a church organist, Nathanian Adam Coles learned to play the piano at the age of four. He first came to prominence as a jazz pianist, but is most famous for his silky smooth baritone voice. 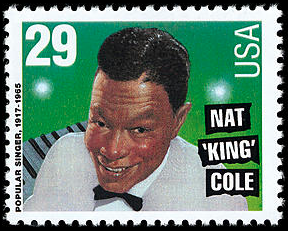 In 1956, he hosted The Nat King Cole Show on NBC, the first variety program to be hosted by an African American. During his abbreviated career (he died of lung cancer in 1965 at the age of 45), Cole released 29 albums and scored 79 Top 40 singles. In 1990, he was posthumously awarded a Grammy Lifetime Achievement Award, and in 2000 was inducted into the Rock and Roll Hall of Fame. In 1994, his likeness adorned an official U.S. postage stamp. We invite you to hear Cole’s beautifully articulated performance of “The Ruby and the Pearl.” The video is below and the lyrics are included if you’d like to sing along. Music written by Jay Livingston. Lyrics written by Ray Evans. Performed by Nat King Cole. Can love be as warm as the ruby? Can love be as pure as the pearl? Just look in the heart of my love for you. You'll find the ruby and the pearl. And shine with the shimmer of gold. A thing of beauty to behold. Come close and share the passion of this. And love is as pure as the pearl. It was only a matter a time before a romantic young man figured out a clever way to incorporate the wildly popular ALS Ice Bucket Challenge into a heart-warming marriage proposal. Last Tuesday, Shelby Muha, a teacher from Manhattan, Kan., believed she was simply shooting a video of an Ice Bucket Challenge with boyfriend, Justin Davidson. Muha introduces herself and nominates three friends to take the challenge. Then she tenses up as she expects Davidson — also a teacher — to dump the freezing water on her head. But, when it doesn’t happen, she spins around to see him on bended knee with an engagement ring in hand. The startled girlfriends says, “What?” And then she giggles as Davidson asks for her hand in marriage. 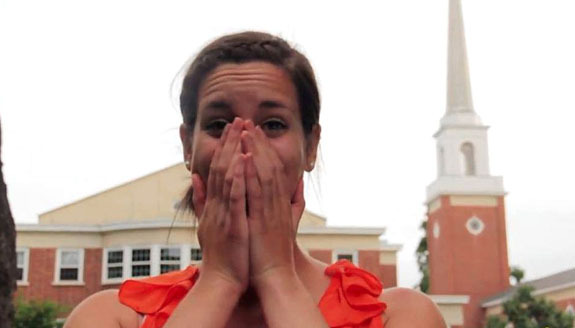 She accepts his proposal, but fumbles the ring. As she scoops it off the sidewalk, Davidson blasts her with the bucket of ice water. The fun-loving Muha takes it all in stride and maintains a smile through her part of the challenge. It was now Davidson’s turn. He steps forward and nominates a few friends. Then, Muha seals the deal by dumping a cooler of ice water on her new fiancé. The drenched couple embraces, concluding what we believe to be the world's first-ever ALS Ice Bucket Challenge marriage proposal. The ALS Ice Bucket Challenge works like this. A person who has already taken the challenge gets to nominate three of his or her own friends or family members to accept the next challenge. Those who have been newly nominated have 24 hours to film themselves dumping ice water on their heads or they must send a $100 donation to support the non-profit ALS Association. If they successfully complete the mission, they send $10 to the charity. The drenching must be recorded and posted to social media. The ALS Ice Bucket Challenge has become a national phenomenon. Celebrities, such as Derek Jeter and Lady Gaga, as well as dignitaries, such as former President George W. Bush, have all accepted and succumbed to the Ice Bucket Challenge. The challenge has been enormously successful in generating awareness and funds for the foundation that aims to find a cure to amyotrophic lateral sclerosis (ALS), which is commonly known as Lou Gehrig’s disease. The neurodegenerative disease affects nerve cells in the brain and the spinal cord. More than 3.3 million people have used the hashtag “#icebucketchallenge,” with the number spiking to more than 600,000 last Tuesday, according to the social media analytic web site Topsy.com. The ALS Foundation reports having received $13 million in donations between July 29 and August 17. That compares to $1.7 in donations during the same period a year ago. 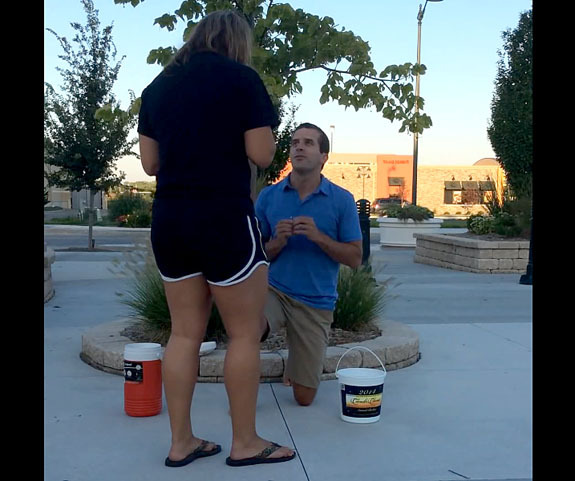 Check out the video of the ALS Ice Bucket Challenge marriage proposal. It has been seen by more than 100,000 YouTube viewers. The latest entry into the burgeoning wearable tech market is a stylish bracelet that doubles as a back-up battery for your smartphone. Called the QBracelet, the unisex bangle can add a 60% power boost when you need it most. Wearable tech is expected to grow into a $10 billion industry by 2016. Invented by New York-based Q Designs, the QBracelet is cleverly designed to unhinge in the middle, revealing an integrated Lightning adaptor on the iPhone version or a Micro USB on the Android/Windows phone version. A brilliant combination of form and function, the $99 bracelet conceals a rechargeable lithium-ion battery and is available in three wrist sizes and five finishes, including polished silver tone, matte silver tone, polished gold tone, brushed black and matte black. When unhinged and plugged into the phone, the bracelet serves as a useful smartphone handle or charging stand. Surprisingly, it weighs less than two ounces. From music streaming and social media posting to HD video editing and FaceTiming with friends, smartphone users are pushing the boundaries of what their phones can do — and the amount of power they consume. The makers of the QBracelet understand that consumers’ most important consideration when choosing a smartphone is the battery life, a factor that trumped both “brand name” and “ease of use” in a recent survey by technology research company IDC. 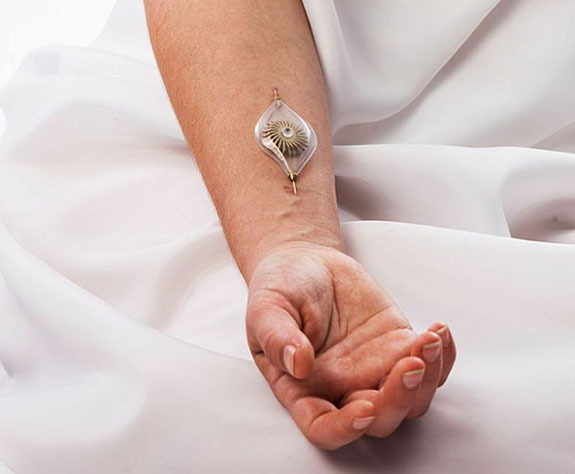 So, instead of having to carry around cables or a battery booster in a separate bag, the consumer can simply wear the battery backup on his or her wrist. 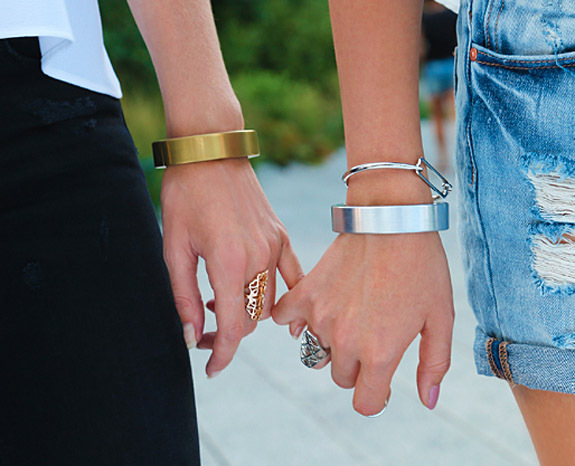 Once plugged in, the QBracelet can deliver a 60% charge in about 60 minutes, according to Q Designs. 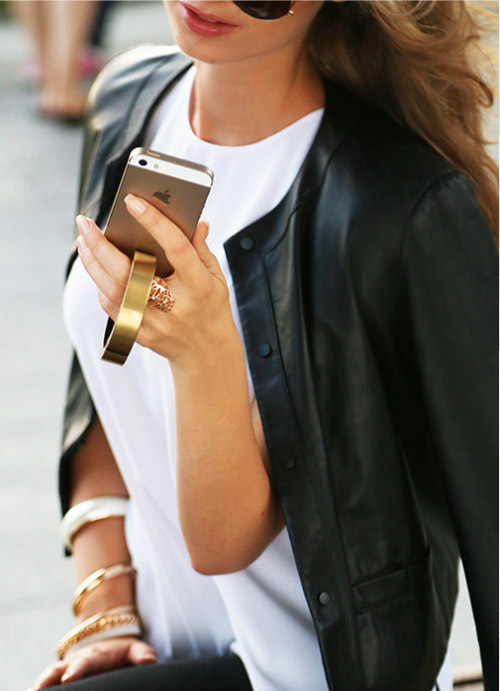 The bracelet itself can be fully charged in 90 minutes and the charge will hold for 30 days in standby mode. The battery level and charging state are shown using four LEDs, which are hidden above the connector in the bracelet. QBracelets are scheduled to ship in December with a retail price of $99. Those who pre-order via the company's website at qdesigns.co will earn a 20% discount. 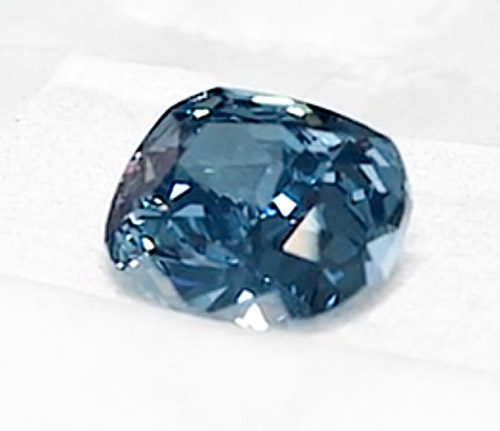 The diamond, which the Gemological Institute of America rated "fancy vivid blue" and "internally flawless," is so special and so rare that it will headline a 16-week exhibition, starting September 13, at the Natural History Museum of Los Angeles County. This is the first — and possibly the last — time the diamond will be on public display. 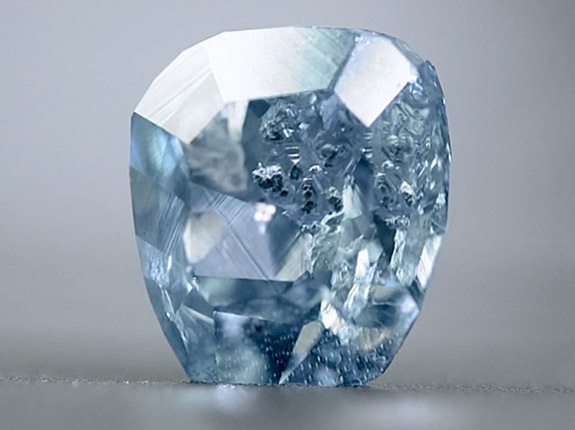 Forbes contributor Anthony DeMarco, who got a chance to see the Blue Moon up close, described the color as aqua blue, with the facets appearing as if they are “wavelets on the water.” He was struck by the transparency of the stone. “You can see clear through the diamond,” he wrote. 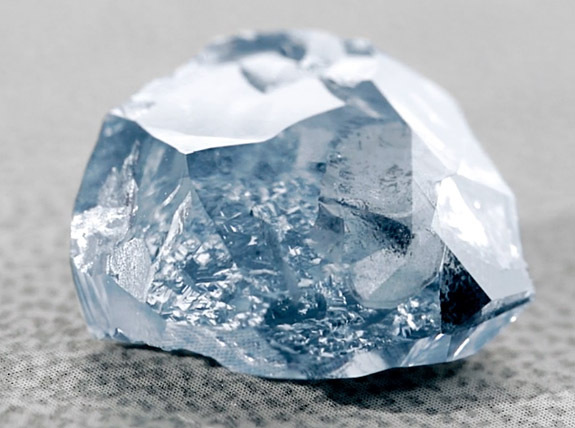 Unearthed in January by Petra Diamonds Ltd. at its legendary Cullinan mine in South Africa, the 29.6-carat rough was heralded at the time as “one of the most important blue diamonds ever recovered” by Petra chief executive Johan Dippenaar. When Cora purchased the stone, it was assumed that more than half of its weight would be sacrificed during the cutting process. In fact, nearly 60% of the stone's weight was lost. 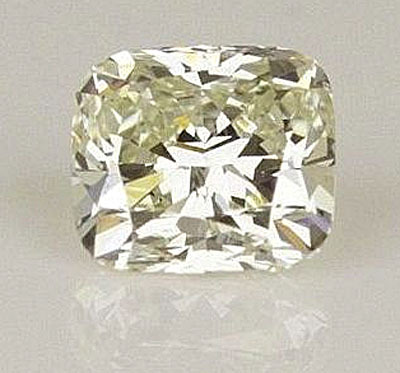 Although Cora has not put a price on the stone, other diamonds of this pedigree have sold for about $1.8 million per carat. 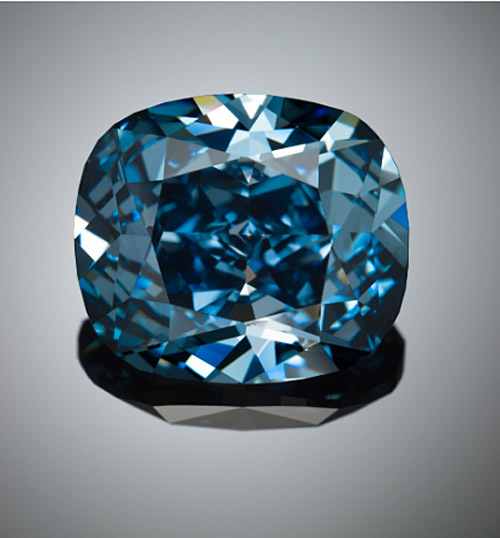 Blue diamonds get their color from trace amounts of boron impurities in their chemical makeup. 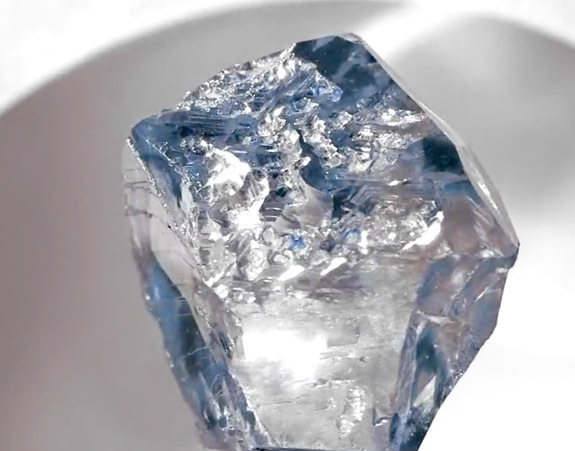 Cora reveals how its cutters transformed a 29.6-carat rough diamond into the 12-carat internally flawless Blue Moon in the video at this link. 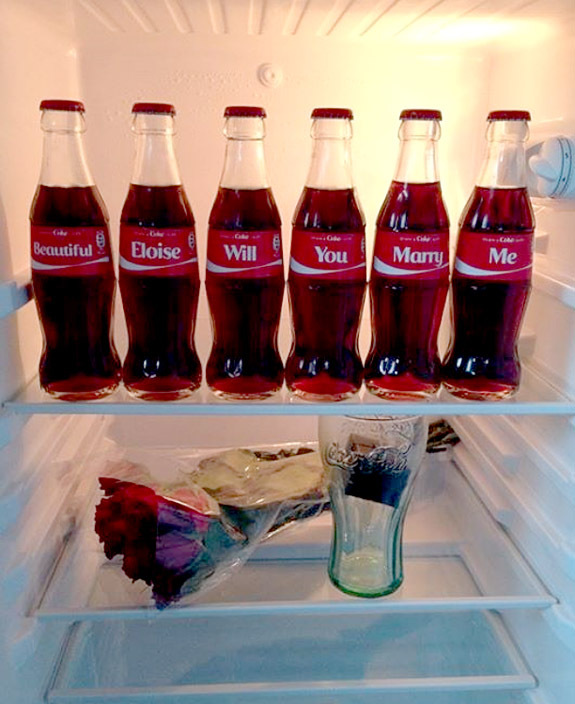 On the middle shelf he placed a bouquet of roses and a Coke glass containing the engagement ring (Who needs a ring box?). 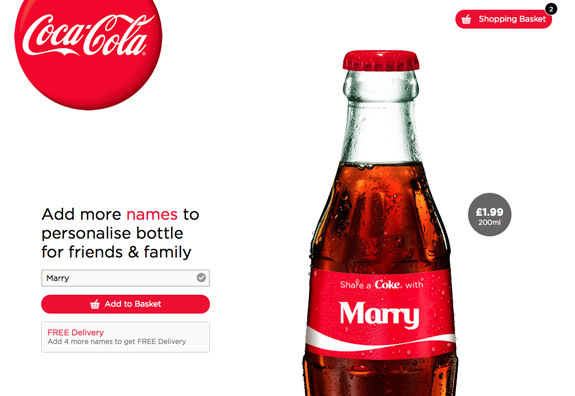 It also quickly caught the attention of Coca-Cola’s social media specialists, who customized two additional “Share a Coke” bottles — with the names Eloise and Donnie — and posted a congratulatory message featuring two bottles that are clearly in love. The cost for each 200ml bottle was about $3.30, so the total expenditure for the six-bottle message was a scant $19.80 (plus tax). Shipping was free on orders of six or more bottles. Soft drink lovers around the world currently consume more than 1.8 billion servings of Coca-Cola brand beverages each day. 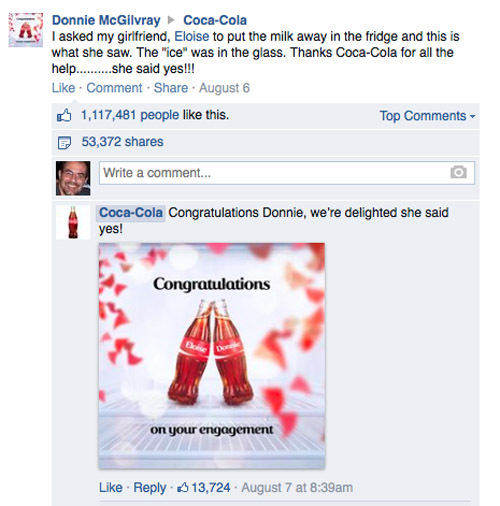 The Coca-Cola Facebook page has been “Liked” by more than 87 million fans. Although the song is credited to Nanker Phelge, the pseudonym used when the whole band collaborated on a track, SongFacts.com reports that lead singer Jagger and guitarist Keith Richards were the only band members awake when the song was recorded very late one night at RCA Studios in January of 1965. 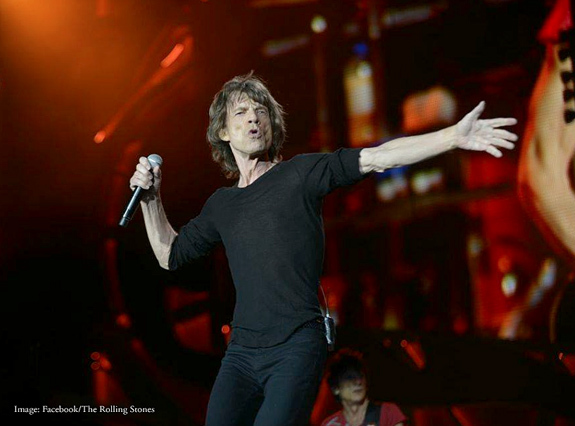 “I mean, it's a very in-your-face kind of sound and very clearly done,” Jagger said. “You can hear all the vocal stuff on it. And I'm playing the tambourines, the vocal line. You know, it's very pretty." Buried on the B-side of their single, “The Last Time,” “Play With Fire” met with only marginal commercial success. It topped out at #96 on the U.S. Billboard Hot 100. The Stones seemed to have a fondness for the song, however, as it was performed in concert during the tours of 1965 and 1966, and then revived more than 20 years later when the band toured in 1989 and 1990. We hope you enjoy the video of The Rolling Stones performing “Play With Fire.” The lyrics are below if you’d like to sing along.